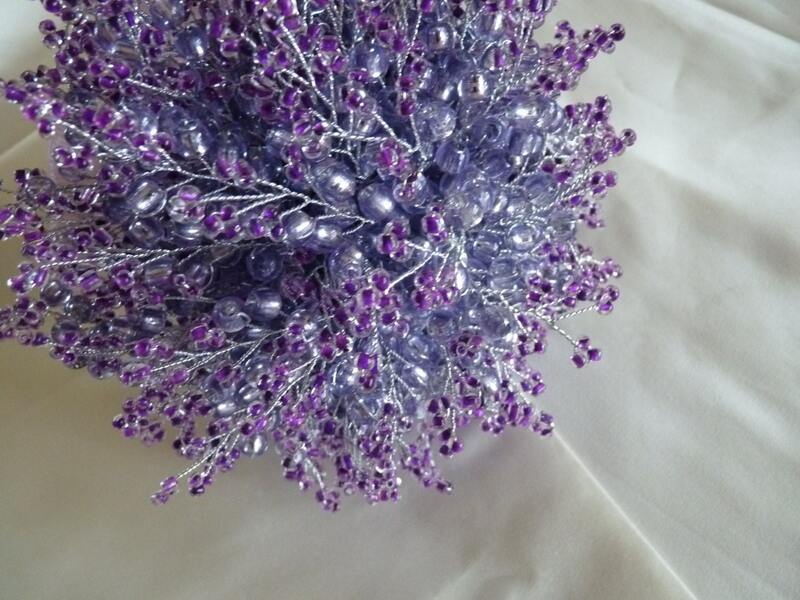 Lavender and purple wedding bouquet with silver stems and silver ribbon. Handtied bridal bouquet. Brides bouquet. A wonderful sparkling bouquet that really catches the light. 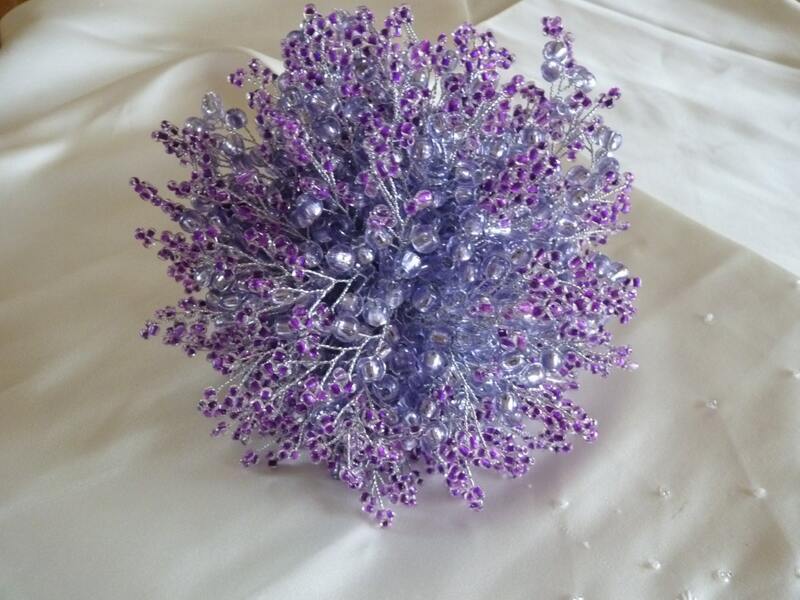 It is packed with thousands of lavender and purple light reflecting beads on silver stems. 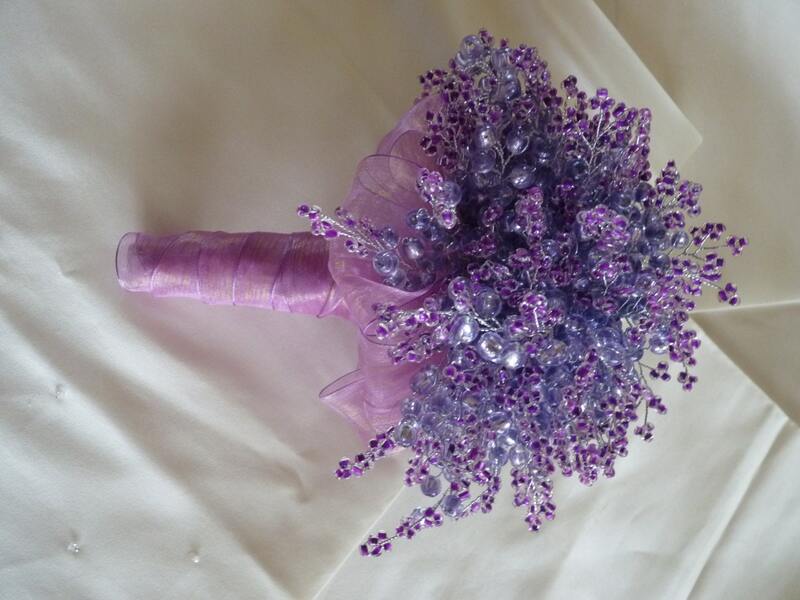 The stem of the bouquet is wrapped in a mauve voile ribbon. The bouquet is 10 inches wide (25cm). 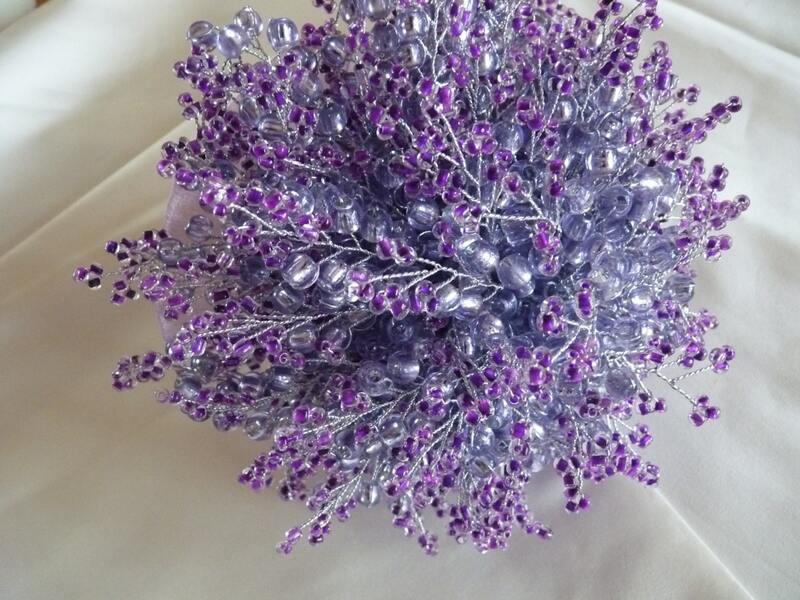 There are buttonholes, bridesmaid bouquets and wedding favours to compliment this bouquet. 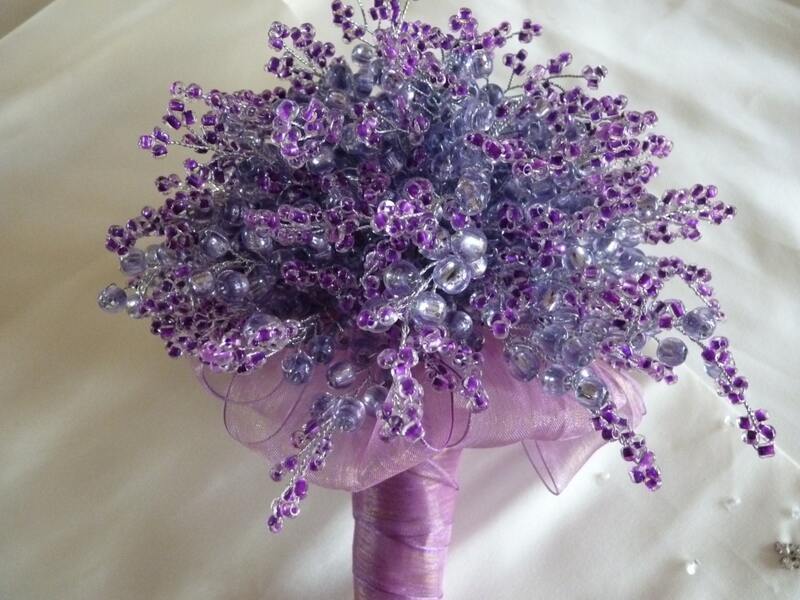 Please let me know if there are any changes or additions that you would like to make to this bouquet as every wedding is unique.